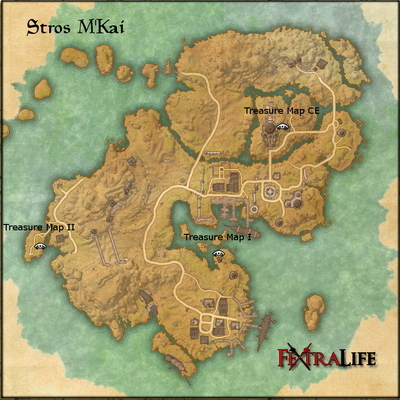 Stros M'Kai Treasure Maps are displayed below. You can click the map to open it to full size. The links below will open a page that displays all known info about that map. You can click on the map to display it larger on your screen.